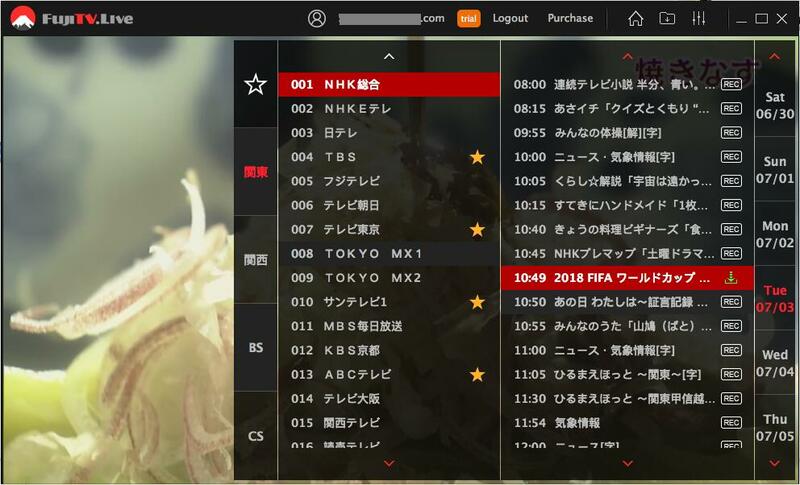 In response to Japanese compatriots who live abroad expectations, following the release of the FUJITV iOS version, FUJITV Live has released Machos APP in July of the year 2018.The APP makes you watch Japanese TV streams more easily and conveniently in a flash-free way. In addition, more new features can be accessed in this Machos APP. 1.Steam 88 Japanese TV channel library. 2.14 days’ playback as a catchup TV. 3.Download any program to enjoy offline. 4.Collect all favorite TV channels to find them easily. 5.Allow to set Child Lock. 1.Watch TV in a full screen mode. 2.Freely resize the player window. 3.Two available language interface: English and Japanese. 4.Save CPU via hardware decoding and rendering. FUJITV Live have been striving to offer excellent service for all the users living outside of Japan.Until now,FUJITV supports iPhone, iPad, Android Mobile/Smart TV/TV box, PC, Mac，desktop and almost all of the devices.